Bridget Glynn has shared her family’s story in the hope it will help others. AN IRISH WOMAN has shared the story of how her daughter died in America because she didn’t have health insurance. 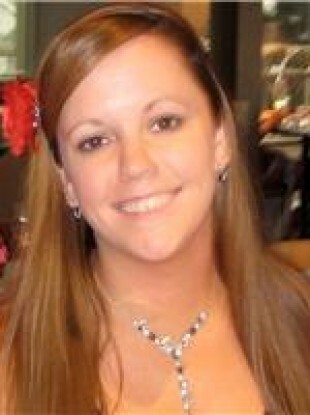 Katrina Hennigan was found dead in her Boston apartment on 28 November last. Her mother, Bridget Glynn, recently shared her story with Irish Central. The family moved to the US in 1994, when Katrina was 11 years old. She initially found it difficult to adjust, having previously attended a Gaelscoil in Cork, but made Boston her home. Katrina became ill in April of this year and ended up in the Intensive Care Unit at Rhode Island Hospital for five or six days, before being released. Doctors gave her instructions to follow up with specialists in endocrinology and cardiology. Bridget recalled how, upon hearing this, Katrina’s first question to her mother was ‘What insurance do you have?’. She worked in the hospitality industry and did not have her own health coverage. Bridget had returned to Ireland but was in regular contact with Katrina and thought she was doing okay. She was due to arrive in Boston on 4 December to spend Christmas and the New Year with her. I had spoken to her about trying to get on Obamacare when I arrived or otherwise she could come back home to Ireland and we could get her health taken care of. I knew there had to be some severe underlying problem that had caused her to be in ICU for such a long period of time. Of course she was 31 and invincible and said I was being dramatic. “When neither her brother, sister nor I had heard from her for Thanksgiving we knew something must be wrong, but nothing could have prepared us for the awful news that no parent should ever hear. Katrina was found dead in her apartment on November 28. We will not have the results of autopsy for up to three months,” Bridget said. The family has since found out that the Irish Pastoral Centre in Boston helps emigrants who don’t have health coverage, but Katrina was not aware of this. Katrina was laid to rest alongside her grandmother in Connemara. “The mass was really beautiful. Her sister Lisa and brother Robert both spoke. I honestly don’t know how they did it. I kept praying that they would not totally break down. They were tearful but did a lovely job. Bridget said she and the family are heartbroken by Katrina’s death. She shared their story in the hopes it will stop the same thing from happening again. The family hope to have the autopsy results by the end of January. I don’t know if it will make me feel any different when we get the results and I know it won’t bring her back or mend our broken hearts. We are totally devastated and finding it so hard to think of life without her beautiful smile and wicked sense of humor. Email “'My daughter died because she didn't have health insurance'”. Feedback on “'My daughter died because she didn't have health insurance'”.